68 route miles of the legendary transcontinental railroad of 1869 as operated by Union Pacific and Central Pacific are waiting for you to explore. ❗️ Note: You must own one of 'Jupiter', 'Buffalo' or No. 119 locos in order to purchase this route. 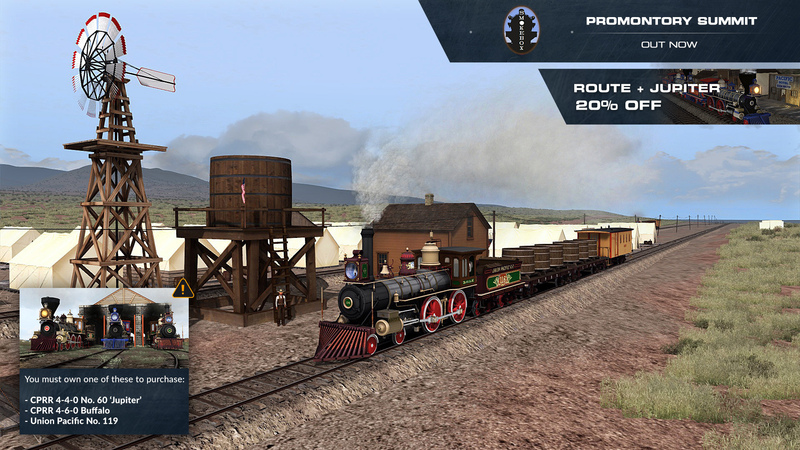 You can purchase the route and one of the locos as a bundle with a permanent 20% discount. ... did I miss something? 21,99€ is not much, put it at 39,99€ for sure.